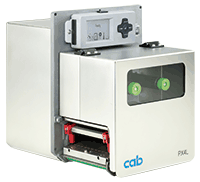 Print and apply with the PX module in an industrial demanding envioment around the clock. The industrial engine for the precise printing. *4.3 preferably for thermal direct printing. Focused on Odette and UCC labels. All PX print modules are available in right and left hand version. Every job has different requirements. White backlight for optimal readability. With illuminated lettering for an interactive menu navigation. Slot for CF-memory card for storage of label formats, fonts, texts, graphics, programmes or data bases. Additional USB-slot for service keys, keyboard, scanner or USB memory. Attached to the front for better handling. It is made of dye-cast aluminium with antibacterial coating. All casings are made of stainless steel. The threepart tightening axles allow a fast and easy ribbon exchange. Slender ribbons can be fixed in every position. It is used for labels which are to be printed partially. 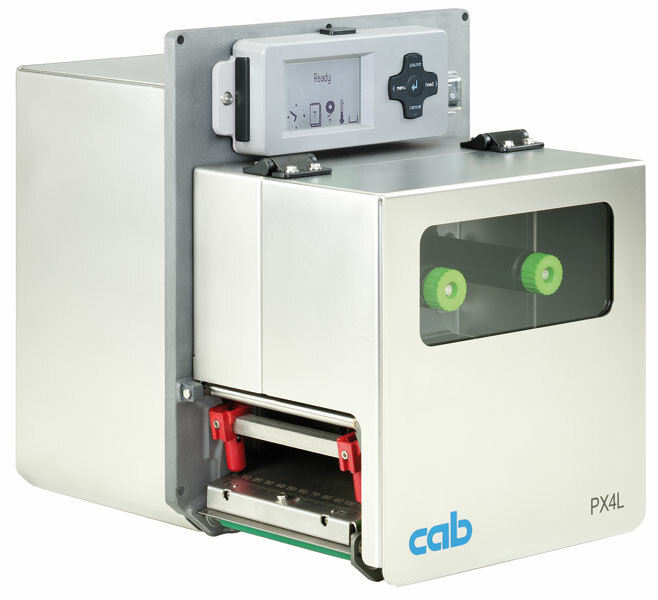 During label feed the printhead is lifted in the blank area and the ribbon is stopped. After dispensing the label the next one can be fed back behind the print line. Thus the label can be imprinted until the label edge and leaking of the liner during a longer pause is prevented. 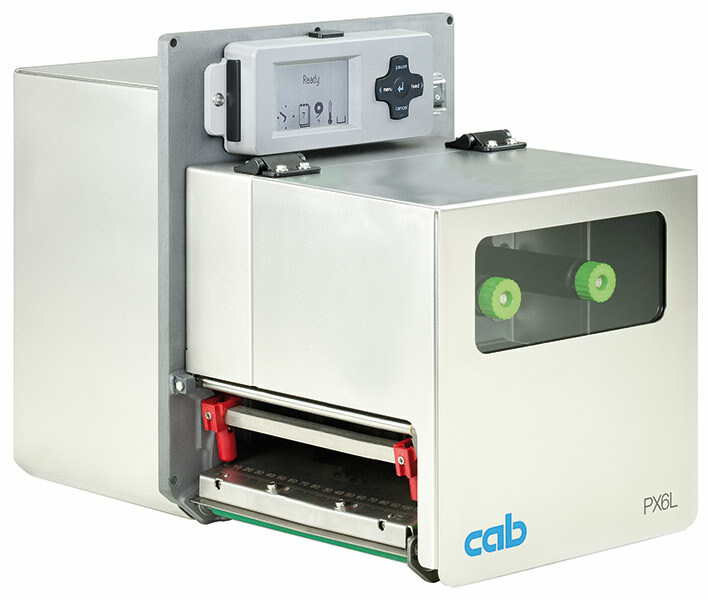 With very sensitive materials and to avoid ribbon folds, the printhead can be raised during this process. With the see-through or reflective sensor the imprint on the label can be positioned precisely and the end of material can be detected – independent of the gaps. The label material is inserted edgewise up to the end position. The printhead and the pressure roller are locked with locking levers. By moving the plungers the pressure can be adjusted easily. With the Allen Key which is readily to hand in the machine the printhead can be exchanged and adjusted easily. For cleaning or replacement the print roller can be easily removed. In overhead installation, the cover is held by two magnets. Limitations may apply to small labels, thin materials or strong adhesives. Critical materials or applications must be tested and approved. Preferred for thermal direct printing. The ribbon should be roughly the same width as the label in order to avoid folding. Connected via USB interface. Both panels provide the same functionality. Protects the interfaces against humidity and contamination. With screw clamps for the cable connection. By these, in overhead installation the cover is held. Connecting printers to other equipment or networks for control and monitoring.